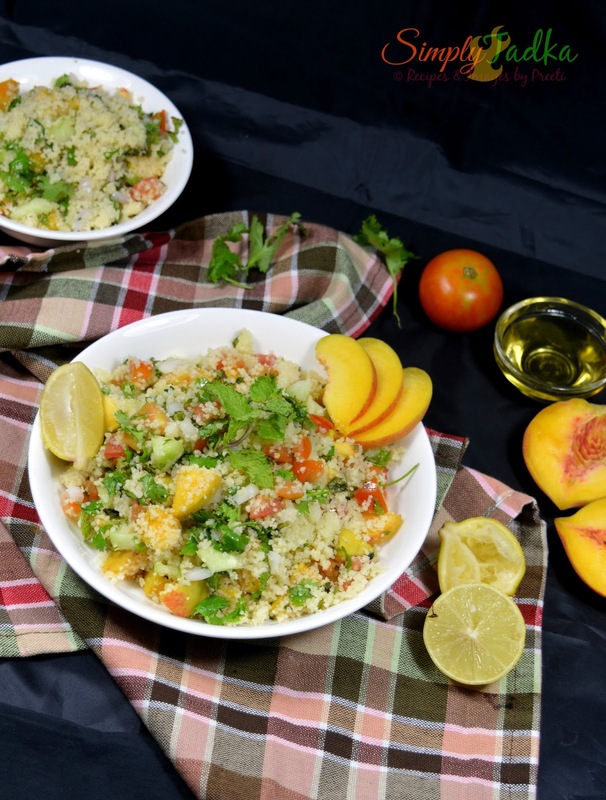 couscous, peach, onion, tomato tossed with pepper, salt and lemon juice. available then you can use quinoa or broken wheat also in same recipe. and give it quick stir, Cover and keep aside for 10 minutes. lemon juice, salt and pepper powder. give nice toss and serve immediately. 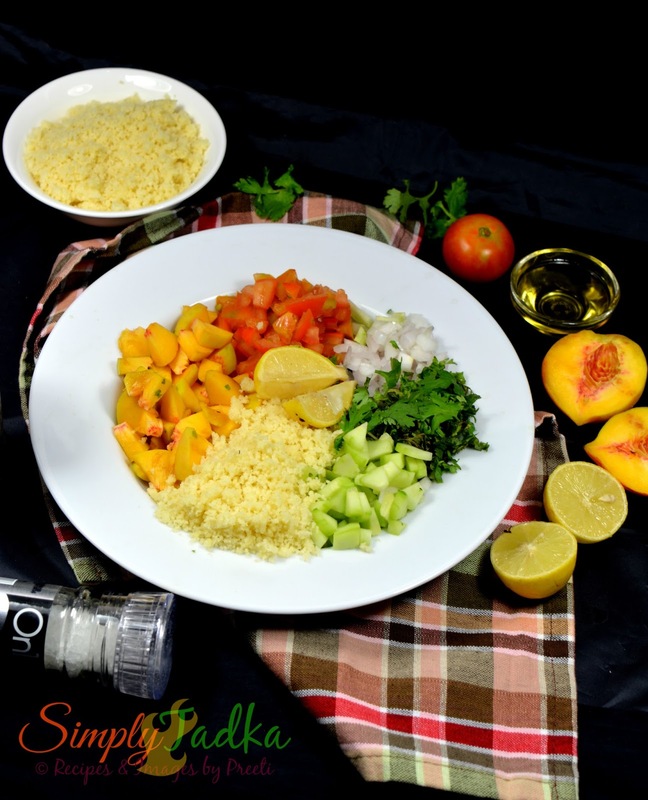 love the idea of peach to the traditional salad recipe..looks very refreshing and colorful. Wow! Such a nice and delicious dish. Love the idea. Thanks for sharing it. Looks awesome. 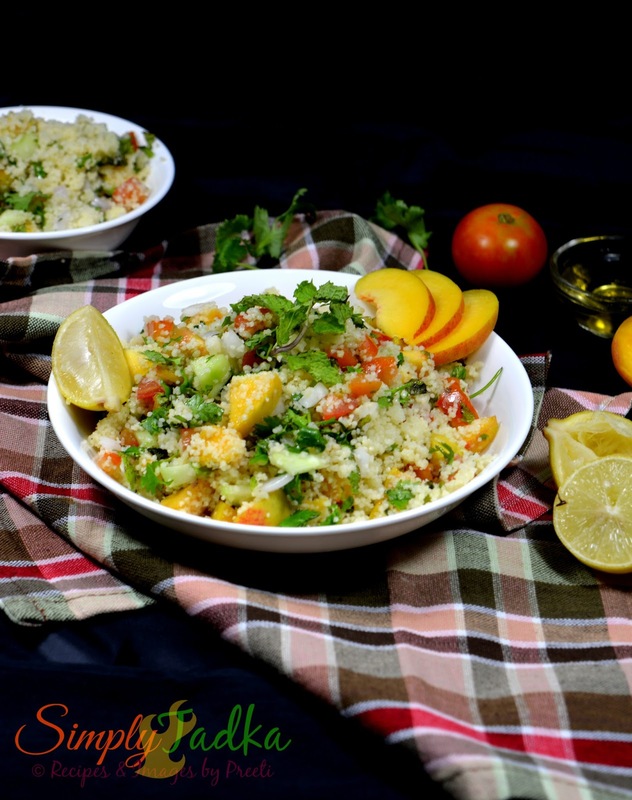 and i am sure it it so delicious and healthy..
his is a wonderful colourful looking salad. Adding peach is such an innovative idea. 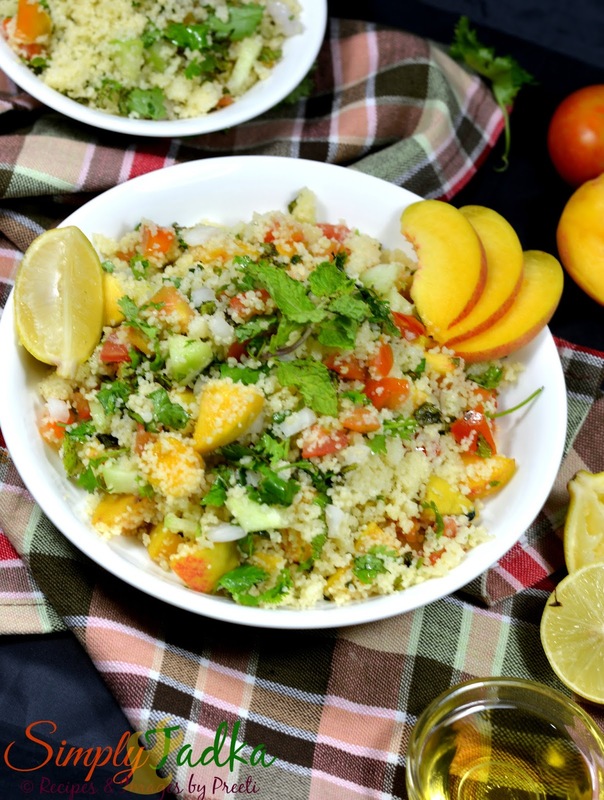 PEach in this traditional dish sounds interesting Preeti.